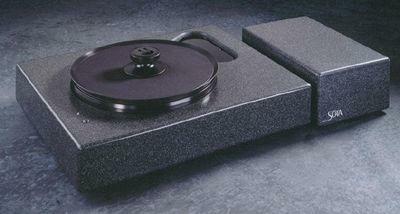 The La Luce turntable's elegant form usually stops audiophiles dead in their tracks. Then comes a long, low "Wow." I'm hardly immune myself. And that's not even considering the sound, which has always been wonderful, as it was in the Joseph Audio/Cardas room at CES '98. As it did for so many other designers and manufacturers of specialty audio gear, the current occupation of Basis owner/designer A.J. Conti began as a hobby and personal quest. 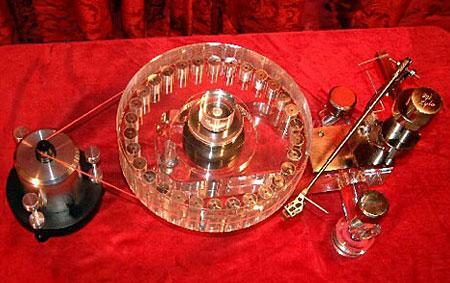 A longtime audiophile and home-based dealer of brands like Krell and Quicksilver, Conti decided to build his own "killer" turntable using a fluid-damped suspension. As audio enters its second digital decade, it gives me great pleasure to proclaim a great audio truth: to groove is divine, to error-correct ain't so benign. Not only is it possible for a thinking person to now and then drastically change his point of view, if for no other reason than the sake of change—if one wishes to prevent self-seriousness and various other forms of mental decay, it's probably an outright must. So it was that I recently began to wonder if everything I know about record players might be wrong. "My original goal was simply to design a better turntable than the Linn because at that time in the UK, Ivor Tiefenbrun was the man—he was the patron saint and all that. And all the hi-fi mags were full of Linns. 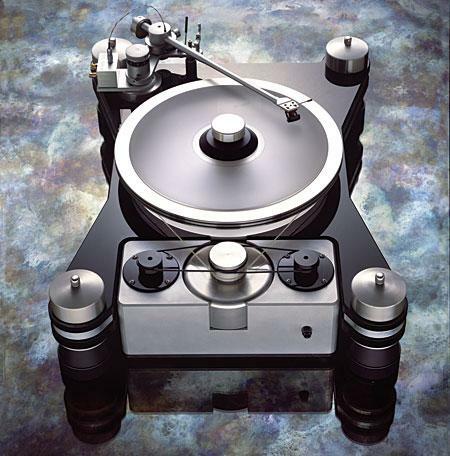 He did for turntables, in a way, what Mark Levinson (the man) did for amplifiers." 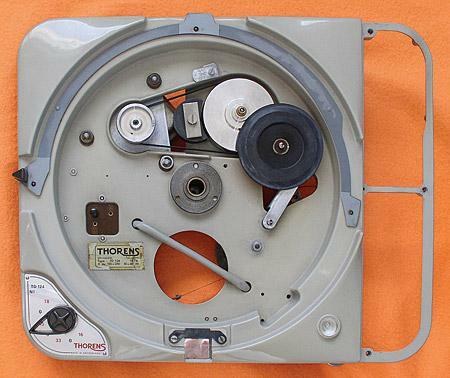 Okay, what does a turntable look like? Take your time—I'll wait. Dum de dum de dum dum dum... Oh, you're tired of this game already? I saw it coming back in 1996. 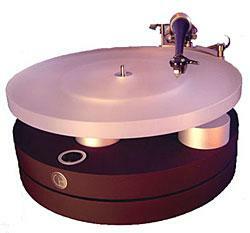 That was when Rega introduced their full-bore assault on the state of the art of record replay, the Planar 9 turntable. 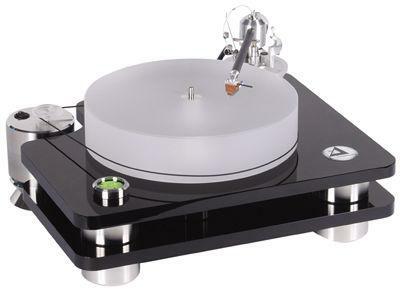 The P9 was and is a superb product, but because it sells for $3900—more than five times the price of the company's bread-and-butter model, the venerable Rega Planar 3—its introduction created an enormous price gap. And that's not to mention all the numbers between 3 and 9 that have languished for so long: How could you not expect Rega to fill in the blanks with Planars 4, 5, 6, 7, and 8? 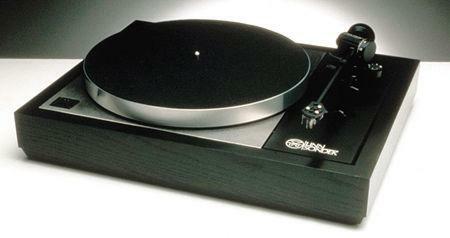 Turntables are intrinsically cool. Maybe it's that I am of the pre-CD generation, for which the acquisition of one's first really good turntable marked an audiophile's coming of age. 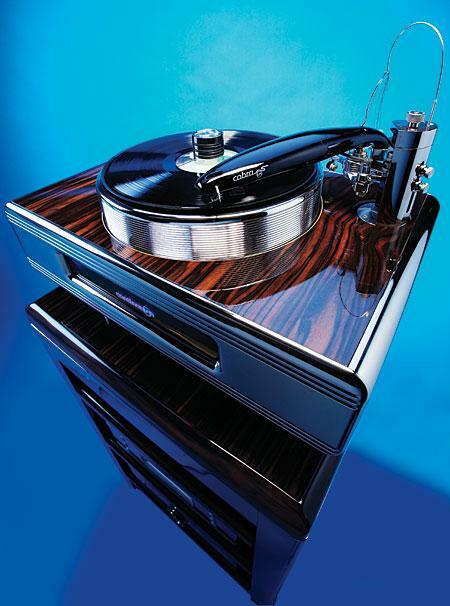 Just as turntable technology has progressed to such awe-inspiring pieces as the SME 30/2 and Rockport Technologies Sirius III, less stratospherically priced 'tables now offer levels of performance that, if not revelatory, show why so many audiophiles (including yours truly) continue to love their LPs with something just short of fanaticism. "Which way to the four o'clock tour?" It was already 10 minutes past the hour. I was late, but this was the last tour of the day. It would be a very long wait for the next one. Oh, I talk a good game when it comes to the whole music-lover-vs-audiophile thing. But I admit that when it comes to record players, I'm just another hardware junkie. I love turntables and tonearms for more than the musical enjoyment they give me. Turntables and tonearms are my favorite toys.